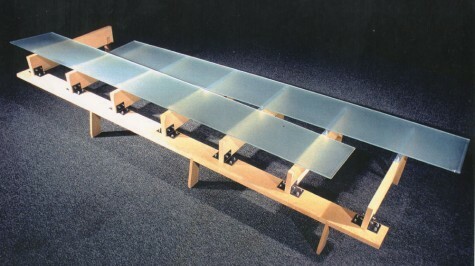 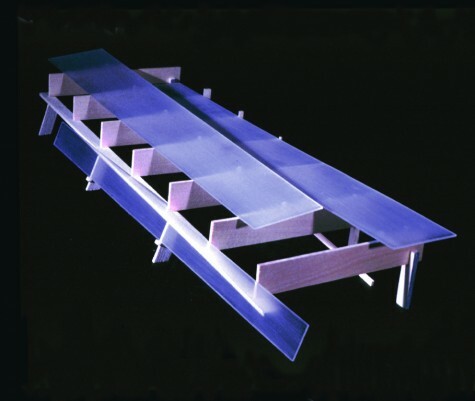 The design for this table was based on the idea of a shifting or disruption of the ground plane. 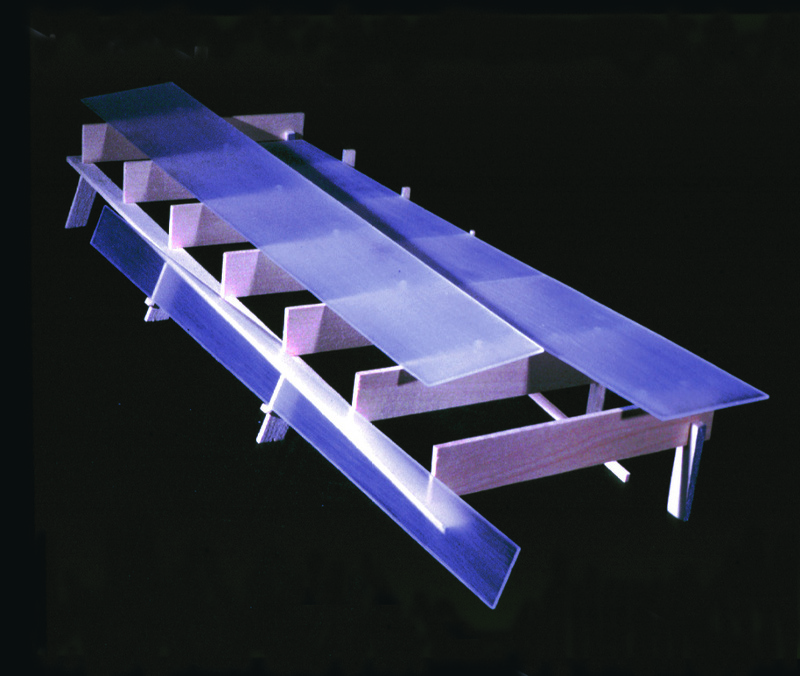 The repeating structure evokes floor joists, while the canted glass planes create a dynamic and slightly uneasy eruption out of the ground. While the pieces appear to be slipping, they are actually quite strong and stable.